Get Go2 Socks 8 pack unisex compression socks and save 15% on your purchase. This pack has 8 pairs of our most popular designs so you can always be in stye! 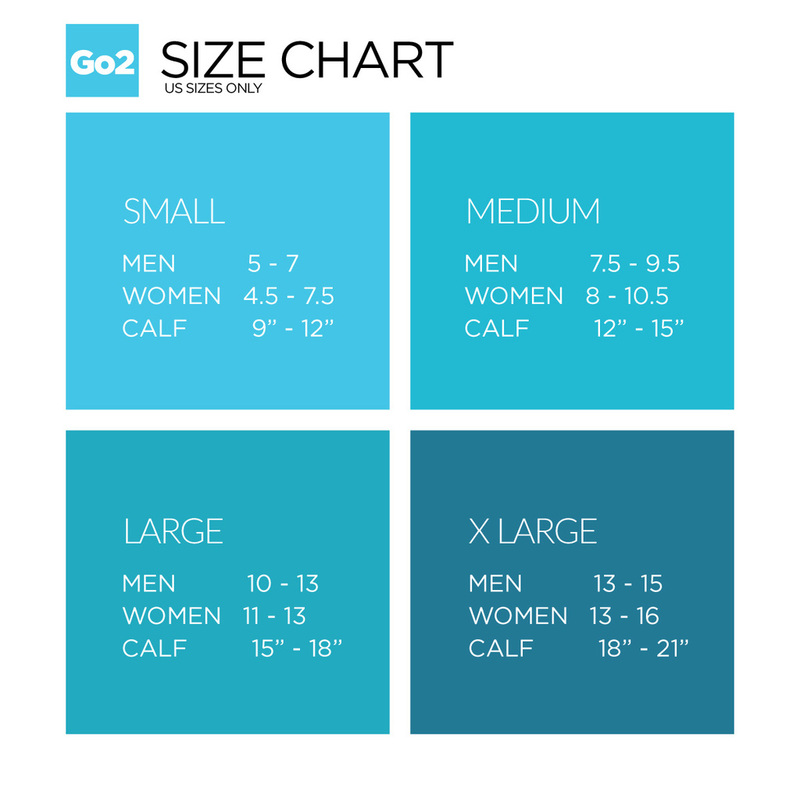 Go2 Compression Socks for women and men are 20-30 mmHg graduated stockings that offer you a wide range of benefits. Relieve tired and fatigued legs, reduce swelling on ankles, heels, calves, feet, and legs. Put on a pair to improve blood circulation and help to recovery faster. Go2 Socks are worn by people from different walks of life such as nurses, doctors, athletes, travelers, basketball players, runners, business men, anyone who is on their feet all day or sitting at a desk all day. Go2 Socks provides a relaxing sensation and relief after strenuous exercises, 12-hours work shift and Post-op treatment. Our extra-cushion sole helps avoid the effect of a negative impact on your feet. Excellent choice for pregnancy and maternity. Only the best fibers are used with moisture and odor control. ‘Add to Cart’ right-away to get your pair or SAVE 10% by purchasing a 2-Pack. Marathon runners like to buy 2 different colors or patterns and mix-match their look for fun!